So Many Stamps So Little Time: The Play Date Cafe # 174 - Celebration! We also have a fabulous sponsor this week: The Craft's Meow! 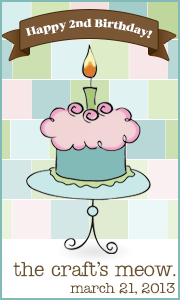 The Play Date Cafe is excited to help The Craft's Meow celebrate their second Birthday! 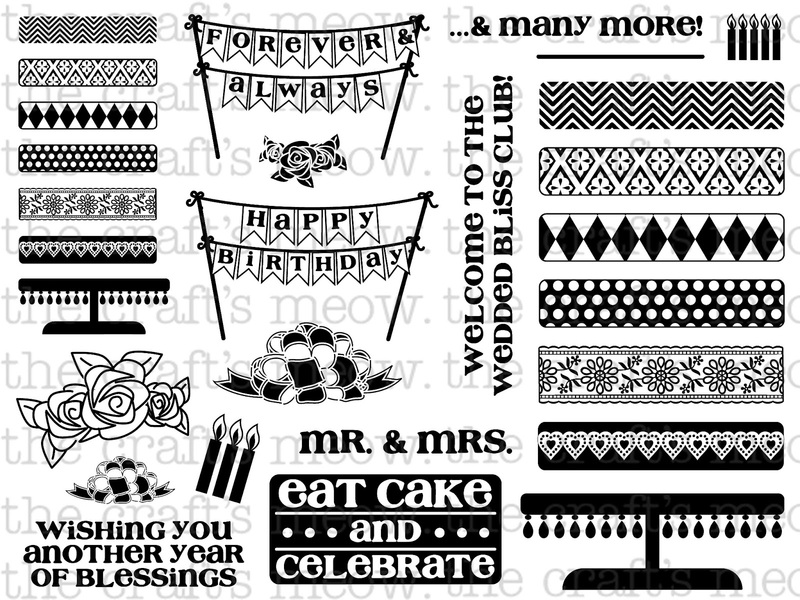 Here is what I created using this weeks color story, and a The Craft's Meow stamp set being released today! 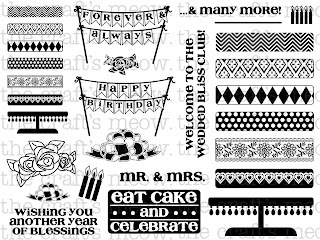 I used the beautiful set designed by Nina B "Take The Cake". 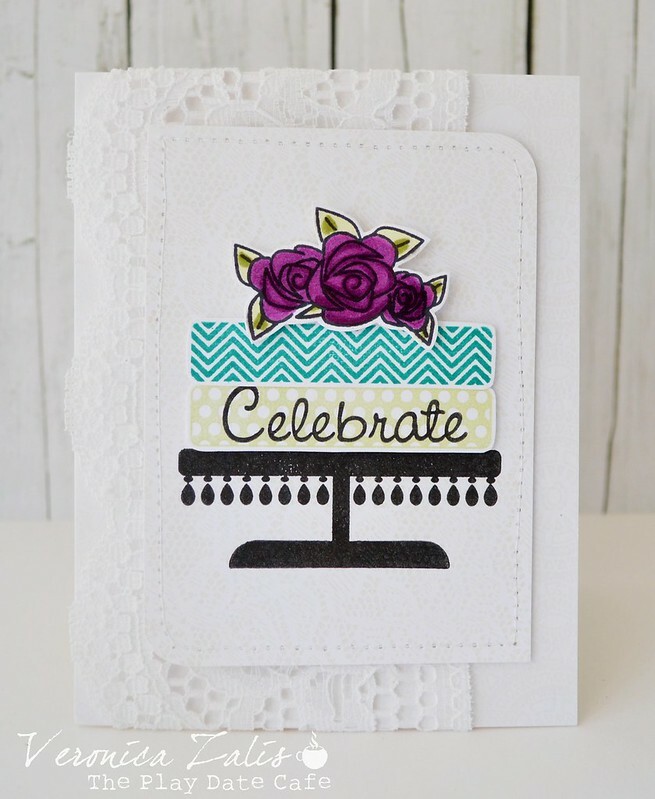 It has SO many possibilities and can be used for any occasion involving cake! 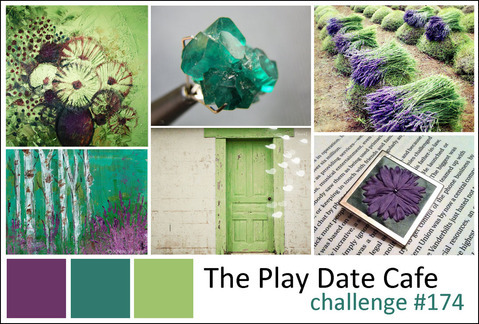 I hope you will play along with us this week at The Play Date Cafe! Very pretty! I love the lace detail and the beautiful amethyst roses. Lovely cards, love the colors! I LOVE THIS! Gorgeous colors!